We treat a range of brain and spine disorders, including stroke management and minimally invasive surgeries. At The Neurohealth Sciences Center, we offer convenient online appointment scheduling. We are conveniently located at the Central Florida Regional Hospital to better serve the Sanford community. Advanced treatment of brain and spine disorders in Sanford, FL. At the The Neurohealth Sciences Center, our providers provide effective treatments for many neurological disorders of the brain and spine. We offer a variety of treatments to address these disorders in a compassionate and caring environment, with the aid of state-of-the-art equipment and innovative technology. For your convenience, we now offer online appointment scheduling. 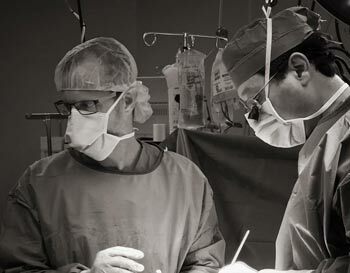 Our surgeons provide exceptional, compassionate, and innovative care that makes a profound difference in the lives of people living with conditions of the brain, spine, and nervous system. We offer comprehensive and conservative approaches. We take into consideration all surgical and non-surgical options available and recommend effective treatment for our patients' unique needs. Our surgeons are the most advanced in image guided and virtual technologies during surgery. Most procedures are minimally invasive and 75% of our patients return home the same day. Our surgeons care for our patients as if they were family. Now serving our Oviedo patients at Oviedo Medical Office Building, 8400 Red Bug Lake Rd, Suite 1010, Oviedo, Fl 32765. Call (407) 833-7505 to schedule.